Risk Avoidance includes not performing any activity that could carry risk. For example you should not buy a property or business in order to avoid the legal liability that may come with it. You should not ride a bike in order to avoid road accident. Avoidance may seem the most feasible solution to all risks, but mostly you do not gain anything until you risk some thing. Avoiding risk result in losing potential gain that sometime may make the risk worth taking. 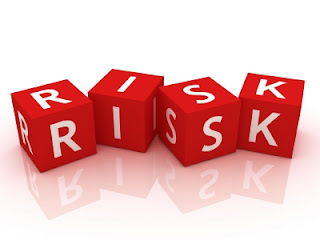 In short avoiding risk means not to enter a business in order to avoid the risk of losing and also to avoid the possibility of earning profits. Risk Reduction or also known as Risk Optimization is a method of reducing the impact and severity of loss from occurring. Halon fire suppression systems may mitigate the risk of fire, but the cost is too high which may prohibit it to be implemented as a strategy. Software development companies reduce risk by developing and delivering software incrementally. They release a beta testing version so that users can use and identify bugs if any. User testing is very helpful to find errors at different stages of development. Early methodologies suffered from the fact that they only delivered software in the final phase of development. Any problems encountered in earlier phases meant costly rework and often jeopardized the whole project. There is an another method to reduce risk which is outsourcing. A business owner can outsource manufacturing and customer support to another company which lets him to concentrate more on business development rather than taking care of manufacturing process or to find a physical location for a call center. "Sharing with another party the burden of loss or the benefit of gain, from a risk, and the measures to reduce a risk." The concept of risk sharing is widely misunderstood. If the insurance company go bankrupt or end up in court, the original risk is likely to still revert to the first party. The purchase of an insurance contract is often described as a "transfer of risk". However, technically speaking, the buyer of the contract generally retains legal responsibility for the losses "transferred", meaning that insurance may be described more accurately as a post-event compensatory mechanism. For example, a personal injuries insurance policy does not transfer the risk of a car accident to the insurance company. The risk still lies with the policy holder namely the person who has been in the accident. The insurance policy simply provides that if an accident (the event) occurs involving the policy holder then some compensation may be payable to the policy holder that is commensurate to the suffering/damage. Risk retention pools are technically retaining the risk for the group, but spreading it over the whole group involves transfer among individual members of the group. This is different from traditional insurance, in that no premium is exchanged between members of the group up front, but instead losses are assessed to all members of the group. Involves accepting the loss, or benefit of gain, from a risk when it occurs. True self insurance falls in this category. Risk retention is a viable strategy for small risks where the cost of insuring against the risk would be greater over time than the total losses sustained. All risks that are not avoided or transferred are retained by default. This includes risks that are so large or catastrophic that they either cannot be insured against or the premiums would be infeasible. War and natural disasters are examples since most property and risks are not insured against war and natural disaster, so the loss attributed by war and natural disaster is retained by the insured. Also any amounts of potential loss (risk) over the amount insured is retained risk. This may also be acceptable if the chances of a very large loss are rare or if the cost to insure for greater coverage amounts is so great that it would hinder the goals of the organization too much. That is all for today folks. Keep on visiting the Microcom IT's blog to learn more. I wish you have a very successful day. I read both articles about Risk Management and i have found them very informative. Keep on writing such stuff. thank you man for this nice stuff. Nice article and explained in easy way.Thanks for sharing nice information.